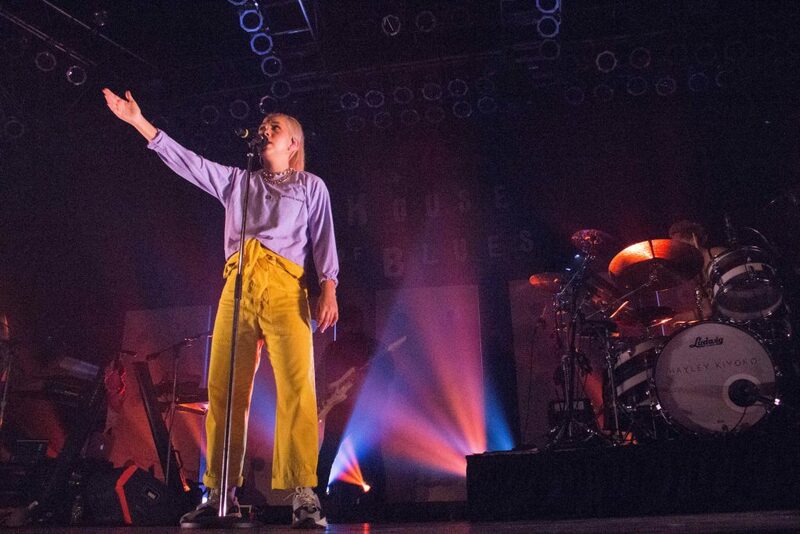 There was nothing straight about May 3 at the House of Blues. 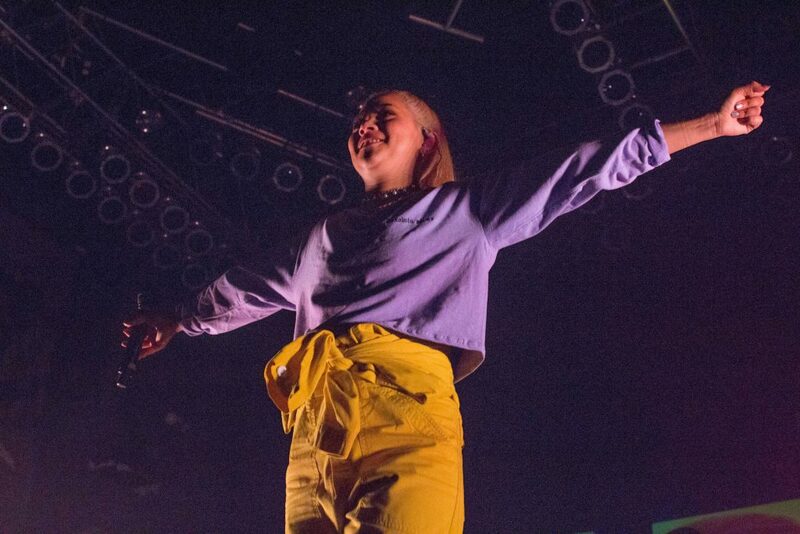 From colorful, patterned outfits to rainbow flags draped around shoulders, eager fans livened up the rainy, overcast wait in line to see Lesbian Jesus – otherwise known as Hayley Kiyoko – in person. 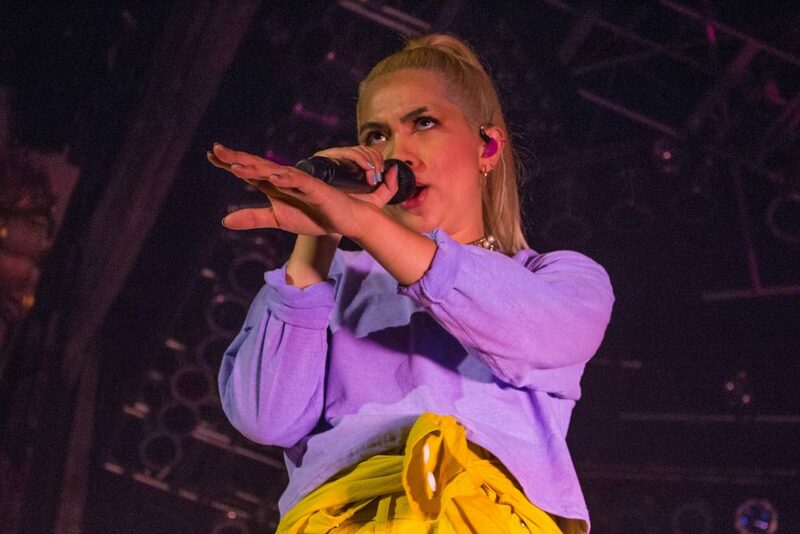 Hayley Kiyoko burst onto the pop scene a few years ago after a stint with Disney, among other ventures (Velma, anyone?). Although some of her older tracks are not that impressively produced, she represented an often marginalized part of the music industry – gay women. Her newest release, Expectations, is a triumphant and tender exploration of this identity. She’s proud to be who she is, and it translates to her emotional and authentic music. As I entered the venue, the crowd hummed with excitement that carried through the opening act, Allie X. Clad in a white wig, a puffy satin pink gown and a sheer mask with exaggerated features, she solemnly proceeded to the front of the stage only to be met with elated screams. She opened with “Paper Love,” an anthem of pain and loving people you shouldn’t. I had never heard her music before, but her synth-pop beats and high soprano vocals were easy to dance to. Some of her songs were less memorable; as she stripped out of her elaborate costume to reveal a black, sequined outfit, I found myself more interested in her performance than the music at times. 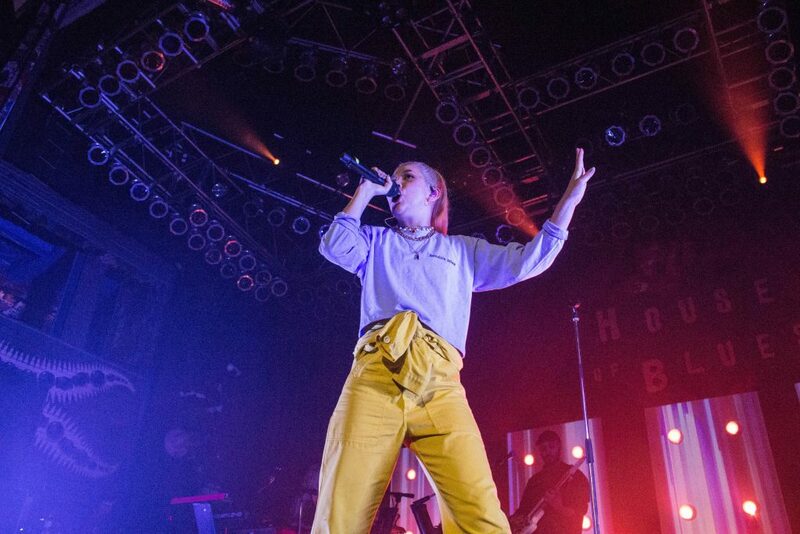 It was an entertaining addition to her unique, sometimes murmuring vocals that could get drowned out by the pounding drums backing each track. The suspense was almost unbearable before Kiyoko’s set, especially in a room full of girls just as excited as I was. The tension built further as the room went dark and clips of her music videos flashed on a paneled screen. When she finally took the stage, the room erupted. She was showered in bras as she sang “What I Need,” one of her many new hits, and I could hardly focus on taking pictures. She moved fluidly, like there was nothing that could hold her back from being herself. Arguably the wildest moment in the show was when she played “Curious,” her most popular single off Expectations. I was deafened by the cacophony of voices shrieking the iconic lyric, “Did you take him to the pier in Santa Monica? Forget to bring a jacket, wrap up in him cause you wanted to? I’m just curious, is it serious?” It’s understandable why. The song describes the all-too-relatable feeling of dating a girl who can’t handle society’s pressures. They create a facade in dating guys, because it’s “easier” than accepting who they are. No one wanted it to end, and an encore was necessary. She delivered, finishing the show with “Gravel to Tempo” off her older Citrine EP. “I’ll do this my way, don’t matter if I break, I gotta be on my own,” she sang, giving the audience another piece of her before she left. That’s one of the greatest aspects of her; she does do it her own way. I exited the venue with my ears blown out and my heart full of hope because people like Hayley Kiyoko exist in the world.